Texas won its independence from Mexico during the administration of President Andrew Jackson. Leaders of the territory then wanted to become part of the United States. Jackson wanted to make Texas a state in the Union. But more important to him was the Union itself. 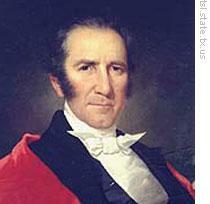 Jackson felt that to give statehood to Texas would deepen the split between the northern and southern states. Texas would be a state where slavery was permitted. 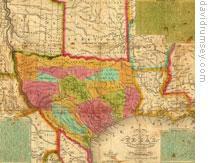 For this reason, the anti-slavery leaders in the North strongly opposed Texas statehood. Jackson told Texas minister William Wharton that there was a way that statehood for Texas would bring the North and South together, instead of splitting them apart. Now, this week in our series, Doug Johnson and Gwen Outen continue our story. Jackson said Texas should claim California. The fishing interests of the North and East, said Jackson, wanted a port on the Pacific coast. Offer it to them, the president said, and they will soon forget the spreading of slavery through Texas. Jackson and Wharton held this discussion just three weeks before the end of the president's term. Wharton spent much time at the White House. He also worked with congressmen, urging the lawmakers to recognize Texas. He was able to get Congress to include in a bill a statement permitting the United States to send a minister to Texas. Such a minister was to be sent whenever the president received satisfactory evidence that Texas was an independent power. This bill was approved four days before the end of Jackson's term. Wharton went back to the White House. Again and again he gave Jackson arguments for recognizing Texas. On the afternoon of March third, eighteen thirty-seven, Jackson agreed to recognize the new republic led by his old friend, Sam Houston. He sent to Congress his nomination for minister to Texas. One of the last acts of that Congress was to approve the nomination. The United States recognized Texas as an independent republic. But nine years would pass before Texas became a state. The fourth of March, eighteen thirty-seven, was a bright, beautiful day. The sun warmed the thousands who watched the power of government pass from one man to another. Andrew Jackson left the White House with the man who would take his place, Martin Van Buren. They sat next to each other as the presidential carriage moved down Pennsylvania Avenue toward the Capitol building. Cheers stopped in the throats of the thousands who stood along the street. In silence, they removed their hats to show how much they loved this old man who was stepping down. "For once," wrote Senator Thomas Hart Benton, "the rising sun was eclipsed by the setting sun." The big crowd on the east side of the Capitol grew quiet when Jackson and Van Buren walked out onto the front steps of the building. After Chief Justice Taney swore in President Van Buren, the new president gave his inaugural speech. Then Andrew Jackson started slowly down the steps. A mighty cheer burst from the crowd. "It was a cry," wrote Senator Benton, "such as power never commanded, nor man in power received. It was love, gratitude and admiration. I felt a feeling that had never passed through me before." Why was this, men have asked? Why did the people love Jackson so? Senator Daniel Webster gave this reason: "General Jackson is an honest and upright man. He does what he thinks is right. And he does it with all his might." Another senator put it this way: "He called himself 'the people's friend.' And he gave proofs of his sincerity. General Jackson understood the people of the United States better, perhaps, than any president before him." Jackson was always willing to let the people judge his actions. He was ready to risk his political life for what he believed in. Jackson's opposition could not understand why the people did not destroy him. They said he was lucky. "Jackson's luck" the opposition called it. Jackson seemed always to win whatever struggle he began. And the men he fought against were not weak opponents. They were political giants: Henry Clay, John C. Calhoun, Nicholas Biddle. The old general fought these men separately and, at times, all together. The day after Van Buren became president, Jackson met with a few of his friends. Frank Blair, the editor of Jackson's newspaper, was one of them. Senator Benton was another. It was a warm, friendly meeting. They thought back over Jackson's years in the White House and talked about what had been done. Jackson said he thought his best piece of work was getting rid of the Bank of the United States. He said he had saved the people from a monopoly of a few rich men. Someone asked about Texas. Jackson said he was not worried about Texas. That problem would solve itself, he said. Did the general have any regrets about anything? "Only two," said Jackson. "I regret I was unable to shoot Henry Clay or to hang John C. Calhoun." The next morning, March sixth, Jackson left Washington to return to his home in Tennessee. President Van Buren protested that Jackson was not well enough to travel. The old man had been sick for the last few months of his presidency. He suffered from tuberculosis, and at times lost great amounts of blood from his lungs. When Jackson refused to listen to Van Buren's protests, the president sent the army's top doctor, Surgeon General Thomas Lawson, to travel with Jackson. General Jackson was to leave the capital by train. Thousands of people lined the streets to the train station, waiting for a last look at their president. Jackson stood in the open air on the rear platform of the train. His hat was off, and the wind blew through his long white hair. Not a sound came from the people who crowded around the back of the train. A bell rang. There was a hiss of steam. And the train began to move. General Jackson bowed. The crowd stood still. The train moved around a curve and could no longer be seen. The crowd began to break up. One man who was there said it was as if a bright star had gone out of the sky. Jackson lived for eight more years. He died as he had lived, with dignity and honor. A few hours after his death, a tall man and a small child arrived at the Jackson home. They had traveled a long way -- all the way from Texas. The big man was Sam Houston, the president of Texas. He had heard that his friend was dying. Houston was too late to say goodbye. He stood before Jackson's body, tears in his eyes. Then Houston dropped to his knees and buried his face on the chest of his friend and chief. He pulled the small boy close to him. "My son," he said, "try to remember that you have looked on the face of Andrew Jackson." 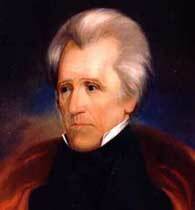 Andrew Jackson stepped down from the presidency in March, eighteen thirty-seven. 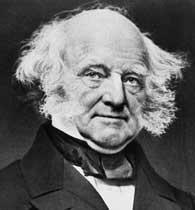 His presidential powers were passed to his most trusted political assistant, Martin Van Buren of New York. Van Buren was elected president after campaign promises to continue the policies of Jackson. He was opposed by several candidates, all of the new Whig Party. Van Buren won easily with the help of Andrew Jackson. Years before, Van Buren had done much himself to elect Jackson to the White House. After the election of eighteen twenty-four had divided the opponents of John Quincy Adams, Van Buren began to put together a political alliance for the future. We will continue our story on Van Buren next week. Our program was written by Frank Beardsley. The narrators were Doug Johnson and Gwen Outen. 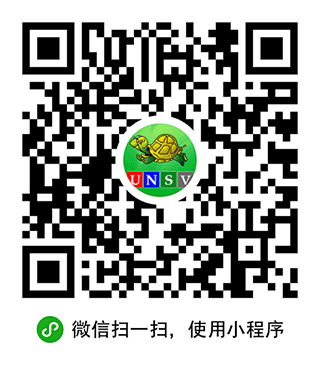 Transcripts, MP3s and podcasts of our programs are online, along with historical images, at www.unsv.com. Join us again next week for THE MAKING OF A NATION - an American history series in VOA Special English. Jackson loved people and was loved by the people.